Far in the future, 60,000 light-years from Earth, a loose confederacy of Terran exiles are locked in battle with the enigmatic Protoss and the ruthless Zerg Swarm. Each species struggles to ensure its own survival among the stars in a war that will herald the beginning of mankind’s greatest chapter — or foretell its violent, bloody end. She is the Zerg Queen of Blades. Her name has become legend throughout the galaxy, and that legend is death for all who stand against her. Yet once, long ago, Sarah Kerrigan was human — the unwilling subject of an insidious clandestine experiment. She was forced to serve as a merciless assassin for the Terran Confederacy until a twist of fate propelled her toward a destiny none could have foreseen. This is the untold tale of Kerrigan’s shadowy origin…and the war that was fought for her very soul. 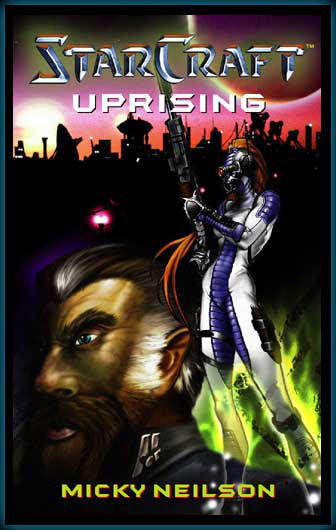 An original tale of universal conflict set in the world of the award-winning, bestselling computer game from Blizzard Entertainment.